Did you set goals earlier this year whether they were for your life or your finances? Have you stopped to consider how those goals tie in to your ‘ultimate goal’ or what you really want out of life? This year, my goals revolved around paying off debt, saving and investing more, being an even better parent and trying to fully appreciate each day. So far it’s been a journey and a process, but one thing that I’ve realized is that I’m not always going to see the fruits of my labor and effort right off the bat. I’ve been delaying my gratification for a while and so many other people have adopted this trait as well. Delayed gratification is an effective trait that contributes to your overall success. It’s the opposite of instant gratification. It involves waiting for satisfaction, but still putting in all the work now. When you put in tons of work and effort and see little return, it can kill your motivation. When you pay on debt for months and years, and still feel like your budget is tight and you don’t even have two nickels to rub together, it can make you want to give up. If you practice delayed gratification correctly though, the end result will probably blow you away when you finally reach your end goal and you’ll probably learn a lot about yourself and what truly matters to you in the process. Given the fast-paced technology-driven world we live in today, people tend to want to see results instantly. People get paid, and often run out to the store and buy the things they’ve been wanting or needing right away. The act of actually waiting and putting some money up to save is the less popular option since it doesn’t usually offer instant gratification. In my opinion, instant gratification rarely contributes to your overall happiness and fulfillment. If that were the case, why were people happy when the iPhone 5 came out then bored with the product when the newer model was released. Why do people buy big houses they can’t afford and then complain about it? And why do people finance cars for one year, then trade it in for another and a brand new loan? Instant gratification doesn’t truly satisfy you because it only satisfies a temporary feeling or goal. Once the excitement from that temporary feeling goes away, so will your happy mood. Delayed gratification allows us to come face-to-face with our end goal. To me, paying off debt is not the end goal but it’s a bridge I need to cross in order to get to me end goal, financial independence. I had to do a lot of thinking and soul searching to realize that this was what I truly wanted for my life. I want. It means having no debt, lots of savings and investments, and having more of a choice about how I’d like to live my life. It’s not all about the money, but money will play a big role in buying back my time and freedom. It means being able to wake up and do thigs that I’d like to do, travel when I’d like to and work when I’d like to. Your end goal might be something different. Be honest with yourself and how you’d like to get there. Once you determine what your ultimate life goal is and start working toward it, you’ll become more focused and realize that ‘sacrificing’ really won’t be much of a sacrifice. 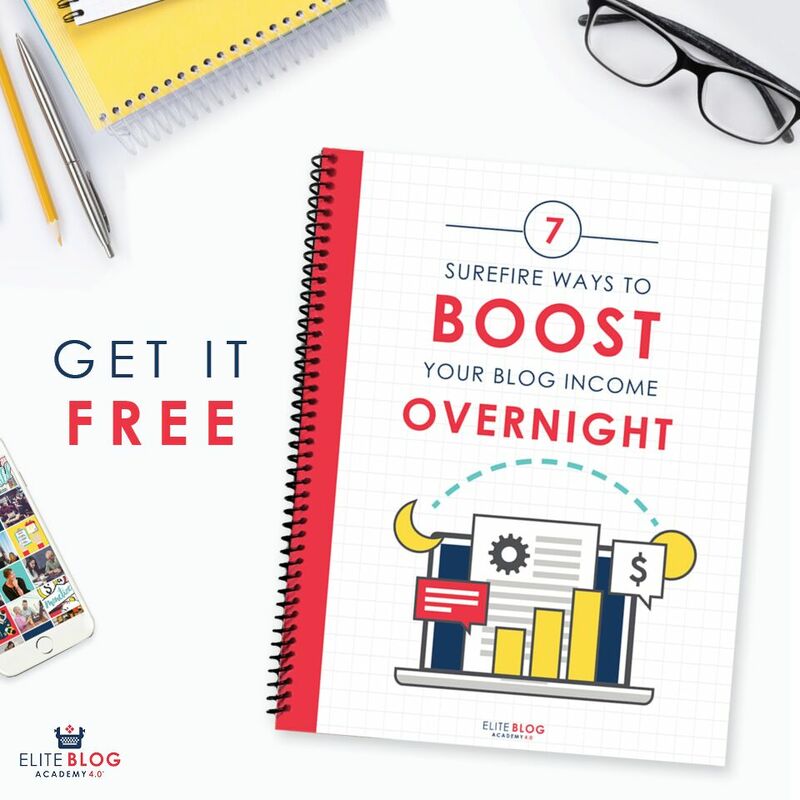 If your end goal is not to become a slave to your job and live paycheck to paycheck, what does it matter that you don’t have the latest smart phone or flat screen television? If you’d rather backpack around the world for a year, what does it matter that you wear the same combination of clothes each week for now? If you’d rather go on a cruise with your family, what does it matter that you can’t go out on a the town for a night with your friends because you are saving money instead. To some people, delayed gratification may sound like a boring way to live that requires you to bank on the idea that you will be around for tomorrow when tomorrow is not promised. The most popular argument against this way of living and thinking is: What if you are not even around to reap the benefits of all of you hard work? While you’re alive and healthy now, you can be enjoying life to the fullest and taking one day at a time. There’s one big flaw with that argument. What happens when you live for today and can’t pay your bills next week? What happens when you live to be 80 instead of 65 and you don’t have enough to remain retired? When you delay your gratification, you are living for the present AND the future. You can spend half of what you have now and save the other half for the future. You can focus more on family, minimalism and experiences instead of things that will only satisfy you for the moment. There are plenty of ways to live for now and the future without ruining your future and making your end goal unattainable. 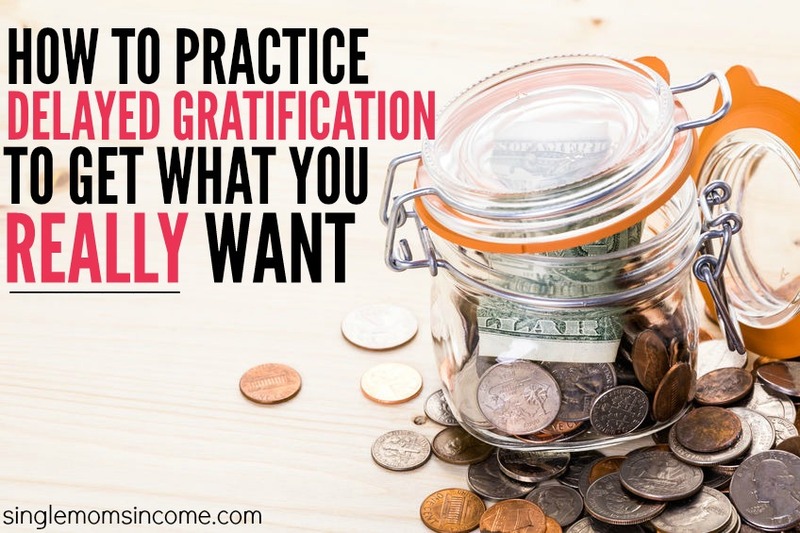 Do you practice delayed gratification at all? What is your end goal? I have to say this was always my Achile’s foot, since I never was able to just wait out. Now I try be plan better and be more careful. It allows me to curb my impulse spending and achieve better results. It’s always tough at first but planning and preparing to delay your gratification will help improve your results a ton. I couldn’t agree more! I just focused on gratitude as well in my personal life and in my last post. You definitely bring out great points. Thanks Reelika! 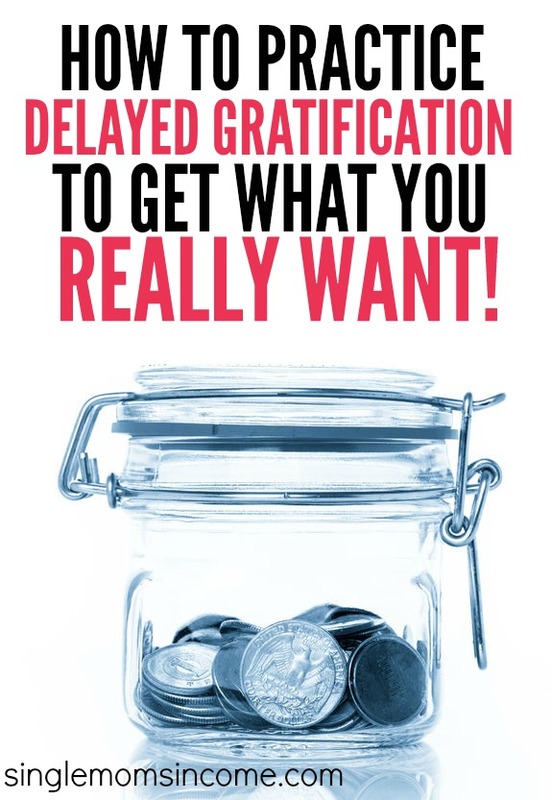 Delayed gratification is great for your personal life goals and your financial goals.